The Father cards from Today’s Journey Tarot characterize the matured nature of the Element in the active expression of the masculine. Their character is influenced by the conscious, logical and physical psyche. All of these cards are about actively doing within the influence of each Element. The Father of Fire shows a successful businessman at work in his high-rise, opulent office. He has used the energy, passion, strength and ambition of the Fire Element to become successful. He is focused and driven – sometimes to the exclusion of anything else in his life. 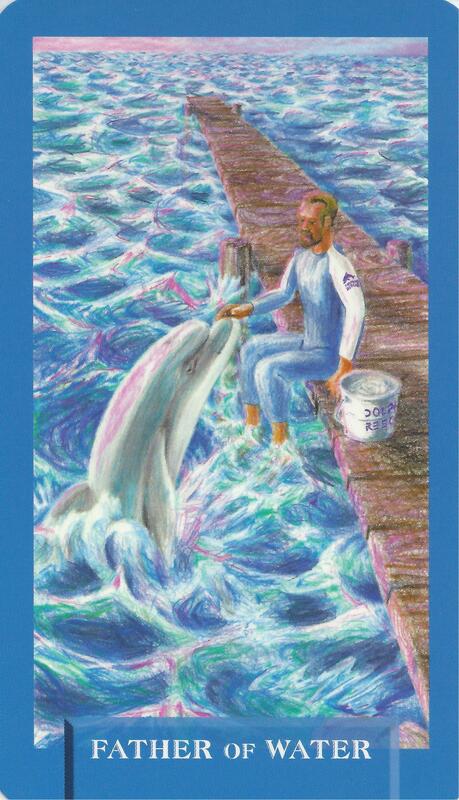 The Father of Water shows a dolphin rescue worker feeding and interacting with one of the dolphins as he sits on a dock stretched out over the water. 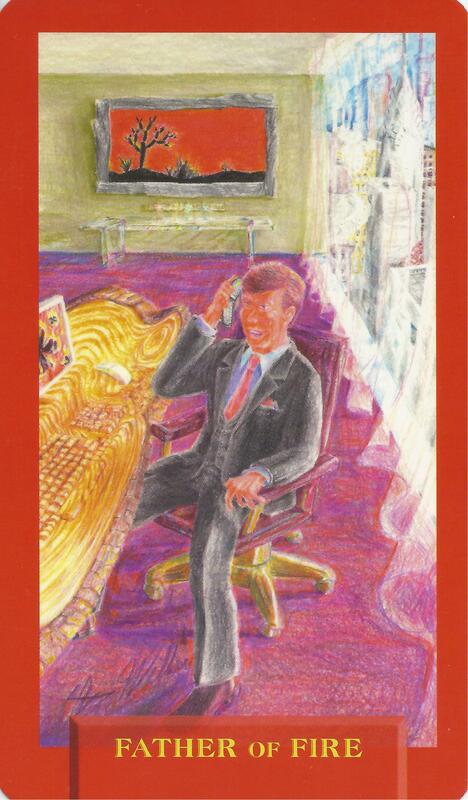 In this card the emotional Water Element fuses with the active, masculine principle to create a gentle and caring man who is driven to help others. He could be a healer of any kind who is not afraid to get involved and show his feelings or a kind and loving man who recognizes the strength to be found in love. The Father of Air shows a pilot at work flying his plane. The Air Element is thought and it can be analytical and logical. 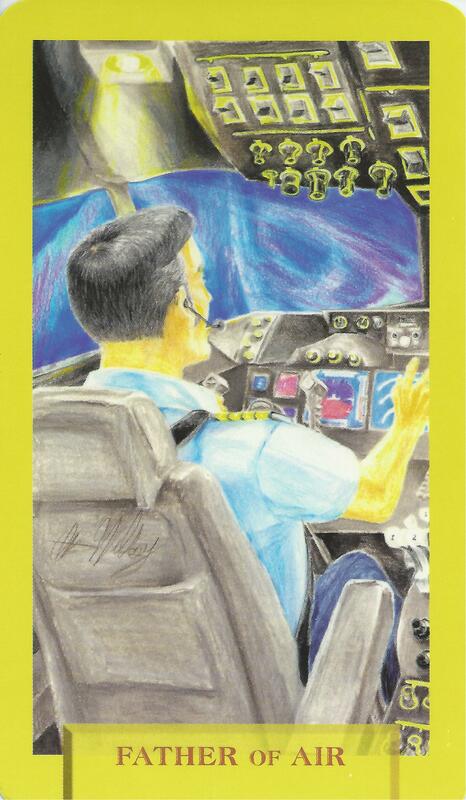 This Father uses those Air skills to maneuver the plane and remain cool and calm under pressure. He is very detailed oriented and very little escapes his notice so he is always in control. The Father of Earth shows a rancher admiring his horse ranch. 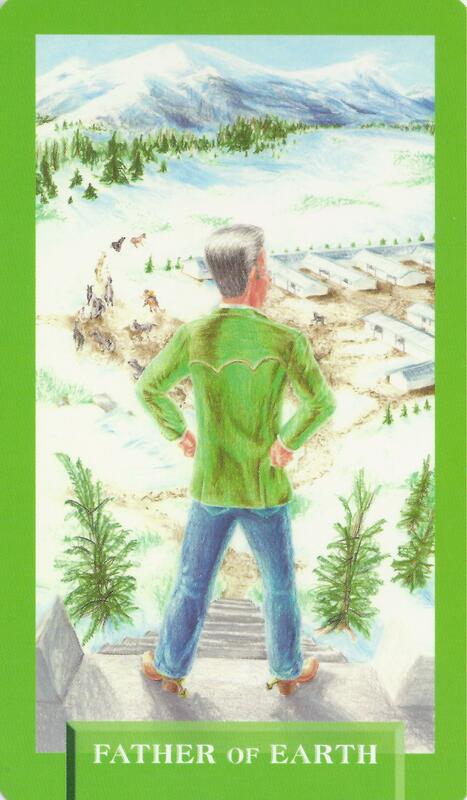 The Earth Element is about stability and abundance and this Father has worked and built a prosperous business. He has used the natural elements to his advantage by giving back to the earth in equal proportion. He draws his strength from the Earth. He is stable and practical and very well grounded.